There are aspects of awnings that you may not understand and but would be beneficial to any business owner. The obvious benefit is the shade they could provide for passersby or small animals, or if you have a big enough awnings they could provide a great outside spot for your employees to have lunch. But as a business owner you want to know how it could help you. Awning provide a form of security, intruders are less likely to intrude because of the constraints an awning put on the size of things coming in or out a window. They also cut back in energy cost. Because of the shade an awning provides it keeps the sun from beating inside the window. With less light coming, the less your air conditioner has to work in the summer time. Awnings also give your building a new look, even though people may have known you were there before they might stop in because it looks more inviting and maybe even brand spanking new! If you have outdoor awnings you might be able to expand your business out to sidewalk if your local law allows. If your business allows people to hang around and drink and eat then a awning is ideal to accommodate more people to eat and drink. 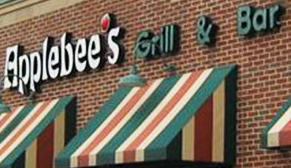 Awnings can reflect your business in whole new light!